Microsoft Visual Studio LightSwitch gives you a simpler and faster way to create high-quality business applications for the desktop and the cloud. Visual Studio LightSwitch is a new addition to the Visual Studio family. 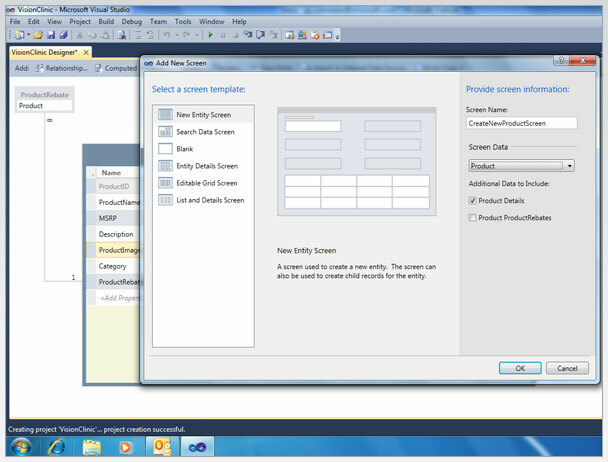 With Visual Studio LightSwitch, you can build custom applications that rival off-the-shelf solutions. Get a head start by using pre-configured screen templates that give your application a familiar look and feel. Create high-quality business applications for the desktop and the cloud. ...... a familiar look and feel. LightSwitch also provides prewritten code and other reusable components to handle routine application tasks, along with helpful step-by-step guidance. However, if you need to write custom code, you can use Visual Basic .NET or C#. You can deploy to the desktop, browser, or cloud to share your application with others more easily without the cumbersome installation processes. Qweas is providing links to Visual Studio LightSwitch Beta 2 as a courtesy, and makes no representations regarding Visual Studio LightSwitch or any other applications or any information related thereto. Any questions, complaints or claims regarding this application Visual Studio LightSwitch Beta 2 must be directed to the appropriate software vendor. You may click the publisher link of Visual Studio LightSwitch on the top of this page to get more details about the vendor.